/ Modified mar 24, 2014 5:05 p.m.
People usually think of the desert as a barren, lifeless habitat, but the Sonoran desert is a whole different scene. 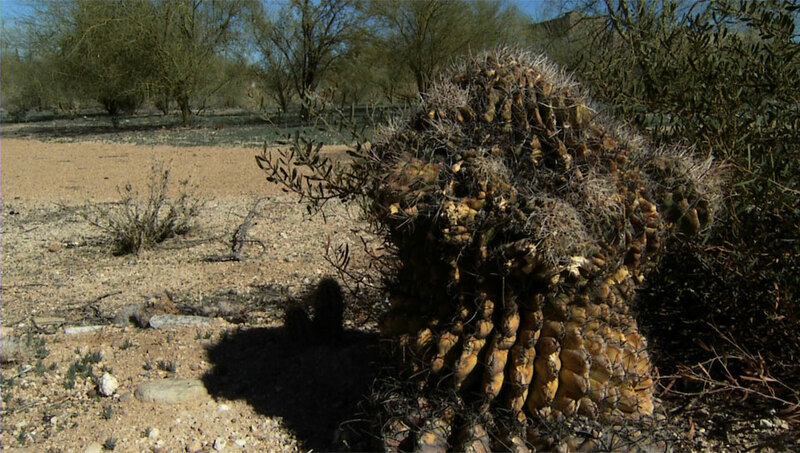 It is filled with vegetation, and some of these natural examples can be found at the Pima Prickly Park in Tucson. Located near West River Road and North Camino del la Tierra, the park is home to almost 3,000 native and non-native plants. Although available to the public since 2011, there are still not many people who know about it. But Jessie Byrd, a landscape designer for the park, has been working on changing that. “Pima Prickly Park is a joined project between the Tucson Cactus and Succulent Society and Pima County to develop a nine-acre cactus park, free to the public, open all the time from dawn to dusk, full of the nicest things, the nicest cactus that our desert has to offer,” Byrd said. Most of the plants in the garden have been donated by different members of the community. Others are rescues from construction projects around Tucson. This garden would not be possible without volunteers, Byrd said. Shellie Bully comes to the park frequently, where she likes to relax and appreciate the desert environment. For Bully, who is originally from Missouri, this habitat is truly unique. Over the years, Pima Prickly Park has brought plants, such as saguaros, barrel cacti, hedgehogs, mesquite trees and palo verde trees. The park also holds one of the nation’s biggest collections of prickly pear and cholla cactus. But just a few years back, this place looked completely different. Some of the plants were moved at least a few times before they finally found their permanent home at the park, such as the saguaros in the Saguarohenge. Inspired by the famous Stonehenge in England, Byrd said, the saguaros were put in the circle to honor the ancient relationships between people and the Sonoran desert. “What is fascinating is when you see wild plants in organized patterns, and the fact that it is a circle and everybody thinks it is just great and gives a destination rather than just saguaros,” Byrd said. Supporters said this park could actually serve as a national model in a few ways. “The concept of the park was education of the public...to put in a cactus and succulent garden and bring in some plants that aren’t native here and show people how wonderful the use of cactus and succulents in their landscape could be, and show them how to save money by saving...water and saving on environment,” Wiedhopf said. So far, the estimated value of the plants in the garden is about $100,000, but this is just the beginning. The volunteers have a 15-year operating agreement with Pima County. Members said they still have a little more than seven acres to fill up, and they will keep adding plants.